When a house gets strip or gutted, it affects more than just the property value. It affects the community and the City surrounding that community. It affects the family that invested its blood, sweats and tears into the house of their dreams, only to see the vacant home next door get vandalized. It effects the City, due to the fact that the city needs families to move back into its neighborhoods to repopulate its tax base. The City needs a stable home market to maintain its communities. How a neighborhood looks can be deceiving, just look at the one of most impoverished areas in the country the Brightmoor Community. This community on the west side of Detroit has burned out shells of homes that was once populated with many families. Acres and acres of vacated land that is waiting to be repurposed. There is a lot of blight, but if you look at the residences in this community, you will never know it. They are as prideful of their community as you will see in any community in this country. They have boarded up some of the homes and painted pictures of the board to make the blight not as noticeable. 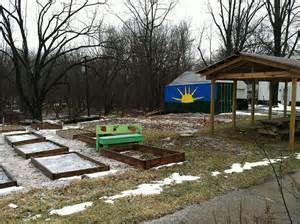 They started urban farming and they have made parks out of some of the empty lots. They have found creative ways to make where they live more pleasing to the eye. They have found a way to make a negative situation more positive. What they have done says a lot about the people who live in the Brightmoor Community. If we continue to let the undesirables have their way in our communities and we don’t do anything to stop it, then you reap what we sow. 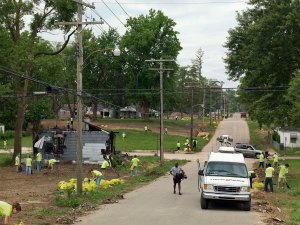 Remember: Brightmoor did not look like this years ago. From my point of view, a neighborhood is what you make of it. It’s about what people in the community think of themselves and what they think about where they live. I was brought up to believe that where you live and how you live is a reflection of who you are as a person.